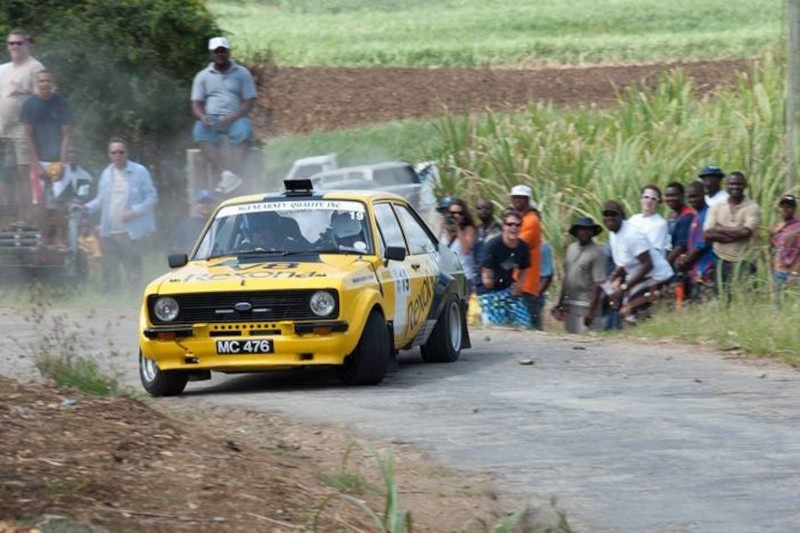 The Barbados rally events have become some of the biggest spectator events on the island drawing thousands of locals to the many special stages... Over the last 35 years the rally club has transform the sport of motor racing in Barbados. This transformation has resulted in tremendous growth and popularity in the sport. Race days are really exciting… whether its one of the exciting circuit races held at the famous Bushy Park racing track or one of the spectacular special stages held along anyone of the narrow winding roads of this paradise island. Everyone look forward to these events… from early in the morning fans start to make their way to the rally route or the track at Bushy Park. Once there the air is filled with anticipation as the many fans armed with their coolers settle down for some exhilarating rally action. And that’s just the beginning… the carnival like atmosphere lends itself to loud but friendly discussion. As fans discuss among them selves a range of topics like who are the best rally drivers on the island, who has the fastest car or who is the best car mechanic.All boisterous but friendly over a cold Banks Beer… its exciting and every time there is a roar of an engine approaching the fans surge forward to get a better view of the action. The motor sports entertainment has really grown to be the biggest spectator sport on the island. Here is a look at some of the popular rally events you’ll find on the island…. Launched in 2000 the carnival has already attracted hundreds of fun loving overseas competitors and supporters to the island to experience the sun, sand and sea. It really is the perfect blending of rally special stages with the sea, sun and sand. The Barbados Auto Racing League September International is one of the rally events that has enhance the growth of motor racing in Barbados. This meet has attracted a number of high quality drivers from among (BARL) members as well as from the Caribbean. A number of exceptional drivers have made their mark in this event.... These include Mark Vieira of Guyana and Roger Mayers and Mark Maloney of Barbados. So if speed is your thing you can combined the hot sticky September weather with heated rally competition and you have the perfect outdoor event to enhance your island holiday. and the leading circuit racing facility in the English-speaking Caribbean. The Karting Experience offers participants the chance to drive on a specially-designed 0.41-kilometre circuit in a Birel kart, powered by a 270cc four-stroke Honda engine, capable of up to around 50mph on the straights . . . although it will seem much faster for the driver, sitting just a few inches above the ground..